Below are several informative videos to help you get started on your new homeschooling journey. Parents turn to homeschooling for different reasons, but all parents want the same thing: what’s best for their children. Homeschooling allows parents to take control of their child’s education and truly assess their child’s individual needs. One of the biggest benefits of homeschooling is the flexibility it offers. Through personalized, one-on-one instruction and student-paced learning, children are able to build academic confidence. Research by National Home Education Research Institute (NHERI) suggests that the focused approach afforded with homeschooling is resulting in higher reading, math, and history test scores compared to traditionally schooled students. How do I Homeschool? Where to Start? Getting started can be confusing and overwhelming, which is why having the right tools and resources can make all the difference. This is a frequently asked question among families just starting out. There are many ways to homeschool and homeschool laws vary by state, so it’s important to get all the facts. Is Time4Learning Right For Me? 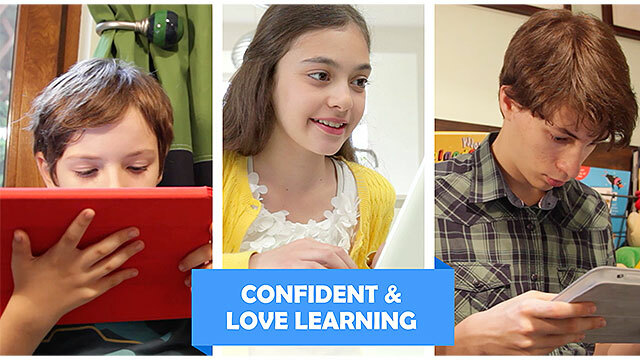 Time4Learning’s award-winning, comprehensive curriculum allows parents to be in control of their child’s individual learning path. The automated grading and record-keeping help parents encourage independent learning, while at the same time, be aware of their child’s progress. With built in lesson plans, parents can have their child follow the suggested sequence for the year, or focus on a particular area of study.